Secondly, they make the following commitment: ‘All contributions have to be subject to the usual peer-review process; this will be done with sensitivity to, and defiance against, the potential for Western gatekeeping.’ This, of course, is a huge undertaking. Such forms of gatekeeping are often (perhaps most frequently even) not enacted deliberately or consciously; and thus the exact nature of the ‘sensitivity’ and ‘defiance’ that is required has to be very clearly determined and strategically employed – lest the commitment remains at the level of mere ‘good intentions’. Nevertheless, this is certainly an excellent initiative, and I hope that many ‘young feminists’ from the global South will submit papers; and that they will challenge not only Northern notions and traditions of feminism, but Northern definitions and expectations of ‘the young’ as well! The closing date for submissions is 1 March 2013. You can contact the editors at rliebert@gc.cuny.edu, lucy.thompson@mmu.ac.za, or v.braun@auckland.ac.za. “Dearest friends, something incredibly shocking has happened. Ian Parker has been suspended from Manchester Metropolitan University. It has happened suddenly and unexpectedly, and students and staff at the University have been given little to no explanation as to why. Ian was suspended from work after having been unable to arrange, with barely 18 hours notice, for a union official to come with him to hear a charge that the university said amounted to ‘gross professional misconduct’. What this seems to mean is that Ian raised concerns within the University about the problem of secrecy and control in the department in which he works, and was suspended for doing so. Ian has had to leave his office and key, been told not to contact University staff and students, and his access to his email has been suspended. For his students Ian has simply ‘disappeared’ overnight, and while he is keen to continue supervising and teaching, he is not allowed to. I could never fully express what effect Ian’s sudden, shocking and completely unjustified suspension might mean for students at MMU and for the wider international academic community. Ian’s suspension is happening against a wider backdrop in the UK where while universities are now charging students £9000 a year (and much more for international students), they are also cutting essential resources, often meaning staff have to work harder and complain less. This means that those staff who defend University as a space for open and democratic deliberation are often put under pressure to remain silent. In fact another member of staff at MMU (and another member of the University and College Union- the UCU), Christine Vié, is also being victimised, and has been made compulsorily redundant (and there is an ongoing campaign to defend her). We are in shock, but only if we speak openly together will we be in a position to challenge and change what is happening to all of us. Openness and democratic debate are the hallmarks of good education. Yet secrecy and silencing are key issues here. Ian has been silenced but his work continues to speak. Yesterday I looked at the principle aims of ‘Psychology, Politics, Resistance’, which Ian helped to set up in 1994 as a network of people who were prepared to oppose the abusive uses and oppressive consequences of psychology, to support individuals to challenge exploitation, to develop a collective active opposition to oppression, and to make this a key element in the education of all psychologists. So, let’s act together, and follow Ian’s example, and speak out – tell as many people as we can, and come together collectively as an international critical community to call upon the management of MMU to come to a resolution of this problem and to reinstate Ian. Messages of protest can be sent to the Vice-Chancellor John Brooks (c.j.green@mmu.ac.uk) and the Head of the Department of Psychology Christine Horrocks (c.horrocks@mmu.ac.uk). These messages can be copied as messages of solidarity to the MMU UCU chair Pura Ariza (p.ariza@mmu.ac.uk) and it is imperative that, at the same time, support should be stepped up to support Christine Vié (c.vie@mmu.ac.uk). The postgraduate students at MMU are sending a letter to the Vice Chancellor, and there will be flyers and posters put up on campus, and call outs in lectures all next week. Please do send letters and emails, and tell as many people as you can. We will keep you posted about further action, and do let us know if you have any ideas for how we can fight this together (because we can fight this together). Please feel free to email me china.t.mills@gmail.com. I had a very mainstream education in psychology, and it was only when I embarked on my postgraduate studies that I discovered (independently and pretty much by chance) some of the riches of various strands of critical social psychology — especially as it was emerging in the UK (and to a lesser extent the USA) at the time and imported to South Africa in the forms of ‘social constructionism’ and ‘discourse analysis’. In 1997, I remember, I had to write a research proposal for my MA thesis (I was into social identity theory at the time) but I spent the greater part of that year re-educating myself by reading Potter and Wetherell’s (1887) Discourse and Social Psychology, Ian Parker’s (1989) The Crisis in Social Psychology — And How To End It and Discourse Dynamics (1992), books by Rom Harre, the Gergens, John Shotter, Michael Billig, as well as various edited volumes: Shotter and Parker’s Deconstructing Social Psychology, a book called Texts of Identity (I forget the editors now; I think it was Shotter and someone else), and many others. It was a fascinating year! 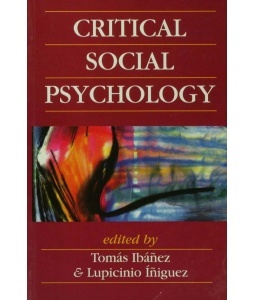 Amongst the edited volumes that most influenced me at the time, a book I had on almost perpetual loan from the library for a year, was T. Ibáñez and L. Íñiguez’s Critical Social Psychology. It was published by Sage in 1997, but consisted of papers originally presented at a small group meeting on critical social psychology in Barcelona in 1993. Early next year, marking the twentieth anniversary of that meeting, there will once again be an international critical social psychology conference in Barcelona. The conference title is ‘Critical Social Psychology: Discourse, Materiality and Politics’ and will be held at the Universitat Autònoma de Barcelona from 6 to 8 February. The conference has a Facebook page; if you ‘Like’ the page you will get regular updates about the planning and programming of the event. At the moment they are revealing, one by one, the keynote speakers. The two already confirmed are Jonathan Potter and Ian Parker. I haven’t read Ibáñez and Íñiguez’s volume since the late 1990’s, but it would certainly be interesting to reread it now. How had things changed or stayed the same in critical social psychology since the 1990’s? Had there been major theoretical and methodological shifts, and had these shifts been for better or for worse? What did ‘critical’ mean in relation to social psychology back then, and what does it mean now? I am not sure whether I will be able to travel to Spain early next year, but I am certain it will be a worthwhile event: even if only as an opportunity for looking back; and as an opportunity for forging ahead. 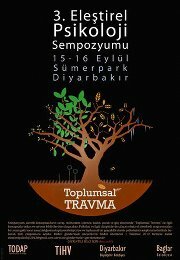 We, the participants of the Third Critical Psychology Symposium (Diyarbakir, Turkey) in the name of TODAP, the Association of Psychologists for Social Solidarity, want to register our support for the recent calls on the authorities in the State of Michoacán, Mexico and other relevant authorities in Mexico to investigate the forced disappearance of Ana Belén Sánchez Mayorga, Diego Antonio Maldonado Castañeda and Enrique Luis Castañeda Nava, on 22th July in Paracho after taking part in the Festival of Balloons of Cantoya. Ana Belén Sánchez Mayorga and Diego Antonio Maldonado Castañeda are psychology students at the Autonomous University of Mexico City. We urge the authorities to investigate this case immediately. In this paper I discuss the relationship between psychology and politics both during and after apartheid. Whereas psychology played an integral role in the modernising, racist-capitalist South African state during the twentieth century, the mainstream in the discipline generally positioned itself as politically neutral. However, a radical psychology tradition developed during the final decades of apartheid (the 1970s and the 1980s), particularly in response to heightened political repression of the apartheid police state, which included the extensive detention without trial and torture of activists in the liberation struggle. This early radical psychology was, to a large extent, ‘practically’ rather than ‘theoretically’ orientated: in other words, rather than a critique of psychology as such, it represented a politically conscious response (by extending psychological services to those excluded from it by the state) to the psychological damage done by apartheid to black South Africans in general and to political prisoners in particular. The concept of ‘trauma’ fulfilled a central role in conceptualising the psychological dimensions of apartheid and state repression during this time: as a critique of apartheid’s human consequences, but also as a conceptual orientation for psychological intervention. The concept of ‘trauma’ was further elaborated after apartheid, with psychologists playing a key role in the Truth and Reconciliation Committee hearings in the mid-1990s as well as in other areas of post-apartheid reconstruction. In fact, ‘trauma’ became one of the ways mainstream psychology could reposition and legitimise itself after apartheid. But whereas ‘trauma’ signalled a conscious politicisation of psychological intervention during apartheid, it signalled the opposite after apartheid. The post-apartheid moment made it possible, once again, for psychology to define itself in politically neutral terms; to orient itself to apartheid, its consequences and its overcoming, in seemingly purely ‘psychological’ terms. This has led to a problematic psychologisation of the consequences of centuries of colonialism and apartheid in South Africa (I will consider the burgeoning literature on ‘post-traumatic stress disorder’ in this regard), which has further added to a restricted notion of political subjectivity. By considering apartheid and post-apartheid subjects primarily as subjects of trauma, much of psychology has remained indifferent to new articulations and activations of political subjectivity in the post-apartheid era; to the continued relevance of the self-articulation, outside of psychology, of those in the liberation movements as subjects of struggle. Struggle subjectivities in South Africa still strive beyond apartheid, not only in psychological terms, but especially in material and political terms. I will end the discussion by considering what psychology might be (and become) in relation to various struggle subjectivities – in South Africa and elsewhere. 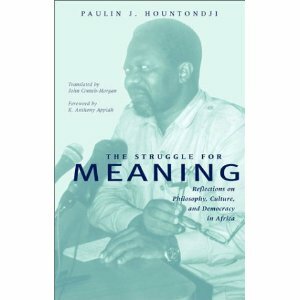 I am currently reading Paulin J. Hountondji’s The Struggle for Meaning: Reflections on Philosophy, Culture, and Democracy in Africa. The English translation of the French original was published a decade ago already. Part memoir, part philosophical reflection, part political polemic, it is certainly a book worth returning to. 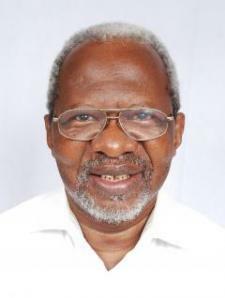 Hountondji was born in the Ivory Coast in 1942, educated in Paris in the 1960’s, and pursued his academic (and, briefly, political) career in Benin. 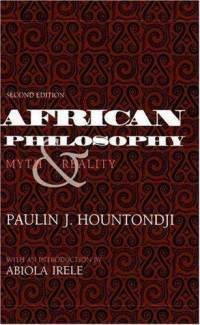 He became rightfully famous for his book African Philosophy: Myth and Reality (1976; English translation: 1983) – a stringent and very controversial critique of a tradition of ‘Africanism’ in knowledge production that Hountondij referred to as ‘ethnophilosophy’. He revisits the central tenets of his critique of ethnophilosophy in The Struggle for Meaning, but also explains why and how it was extended in his later work to become a critique of ‘scientific extraversion in general’ (p. 75), requiring him to develop ‘a theory of the scientific and technological relationships of production on a world scale, and suggestions for a new science policy’ in Africa (p. 75). The need for universities and knowledge production to be ‘Africanised’ is frequently expressed in postcolonial southern Africa. This extends to calls for the development of an ‘African’ psychology (or ‘African psychologies‘) as well – especially in the Republic of South Africa, where psychology is most deeply entrenched as an academic discipline and a network of practices and professional interests. However, what ‘Africanisation’ means, and what it could and should mean for psychology, remains a fairly neglected question in the mainstream of South African psychology. In fact, the ‘Africanisation’ of psychology (or, at least, the problematisation of psychology in relation to historical and existing African realities, social formations and subjectivities) has become all too easy to dismiss (or to simply ignore), by mainstream and critical scholars alike: as cultural romanticism at best; as chauvinistic and authoritarian dimensions of fledgling African nationalisms at worst. Perhaps it is not the (mostly ‘Western’) content of our curricula as much as the lack of an ongoing problematisation of psychology in relation to African realities which continues to mark psychology in South Africa as a colonial enterprise. The value of Hountondji’s critique of ethnophilosophy (and its relevance for critical psychology) is that, rather than simply dismissing the problematisation of colonial knowledge production, it opens a genuinely dialectical space from where the question of ‘indigenisation’ of knowledge production (of what it might mean; of how it should be achieved) can more productively be posed. The goal of such questioning, according to Hountondji, is more than achieving autonomy of scientific practices and institutions in Africa. It aims, instead, at the wholesale reconceptualisation (and reactivation) of the relationship between practices and agents of knowledge production and the transformative agency of subjugated individuals and communities — that is, the authentic political demands of subjects, not just abstracted assessments of (in psy-speak) aggregated ‘needs’. According to Hontoundji: ‘I concluded for my part that the researchers of the Third World could no longer afford to accept paradigms unquestioningly or be satisfied, uncritically, with practising “normal science,” because this normality is their crisis. To put an end to extraversion, to break with the marginalization that constantly siphons the results of their research to the center of the system, thus depriving their societies from benefiting from this work, they had to “get involved” in the extraordinary, to maintain a critical relationship with the paradigms in each discipline and to raise new problems that, directly or indirectly, are linked to the preoccupations of their societies. […] The researcher at the periphery had to be more critical, more demanding, and more radical” (p. 241). He continues: ‘However, beyond the individual researcher, what I was calling for with all my heart was a scientific revolution that could inaugurate “autonomous theoretical practices in liaison with an overall effort by our societies to master their destiny.” […] Too often, new African governments are content with merely administering as well as they can the research institutions left in place by the colonizer. […] Very often they are satisfied with changing the legal status, the administrative machinery, the management system, and of course, the management teams of these subsidiaries without in-depth change of the content and shape of their research programs, or even of their goals and real role in the global process of knowledge production’ (p. 243). This is an entry I wish did not have to be written. My colleague and friend for more than a decade, Jill Henderson, suddenly passed away last week. She was 37 years old. 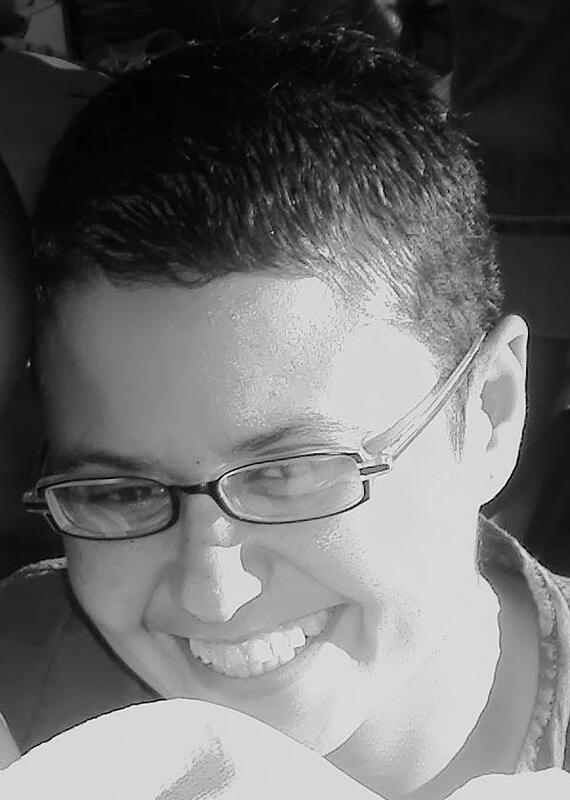 At the time of her death Jill was Research and Advocacy Coordinator at Triangle Project (a lesbian, gay, bisexual, transgender and intersex health and development NGO) in Cape Town, South Africa. I met Jill when I was Lecturer in Psychology at Rhodes University in East London. She was pursuing her MA in Counseling Psychology there at the time. We became good friends, later colleagues. Jill was academically brilliant: iconoclastic and creative, deeply suspicious of mainstream psychology, but equally impatient with critical psychologies that remain self-referentially trapped in the realm of ideas. I always hoped that she would find the time and motivation to pursue her academic career. It was not to be, and unfortunately for us Jill also did not leave many finished (academic) works. As far as I am aware her MA thesis was never published. A pity. It was an analysis of the politics of professionalisation in SA psychology after the demise of apartheid, and (typical of Jill, who had an irrepressible sense of humor, even and perhaps especially when things got serious) had a wonderful title: Getting “layed”: New professional positions in South African psychology (Rhodes University, 2004). If I remember correctly, she presented aspects of this work at the International Society for Theoretical Psychology (ISTP) conference in Istanbul in 2003. She also co-authored (with Martin Terre Blanche and myself) an overview of critical psychology in South Africa for the Annual Review of Critical Psychology. It is terrible to think that Jill Henderson is gone. She was a mensch. She certainly left a mark. Detail about the forthcoming 15th biennial conference of the International Society for Theoretical Psychology (ISTP) has just been released. 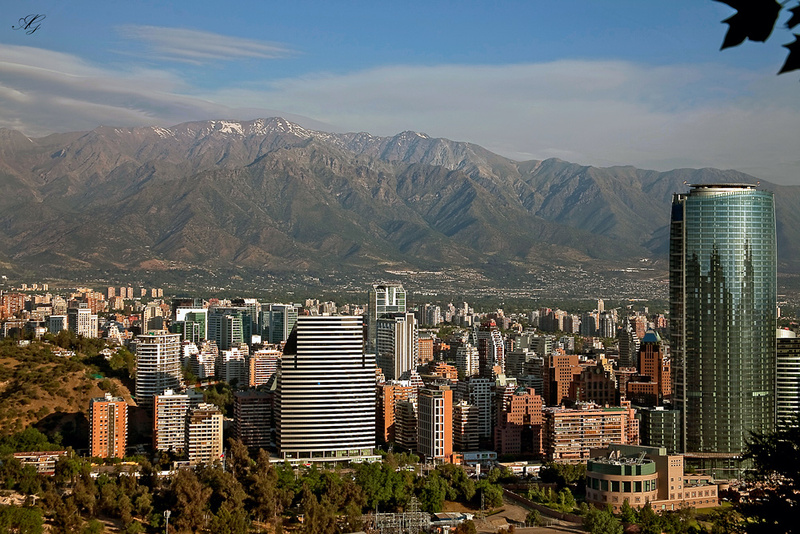 The conference will be held in Santiago, Chile, from 3-7 May 2013. The organisers have chosen dialogue and debate as the overarching (but not exclusive) conference theme: ‘This conference aims at promoting dialogue and debate as a practice within the theoretical work in psychology and related fields, and also may draw attention to the role that dialogue and debate play in psychological and social life.’ The conference will be hosted by two Chilean universities, Pontificia Universidad Católica de Chile and Universidad Alberto Hurtado. The deadline for submission for paper proposals is 30 November 2012. In the earlier years of the ISTP’s existence conferences tended to rotate between Europe and North America. In recent years, however, conferences had been held in Turkey (2003), South Africa (2005), Canada (2007), China (2009) and Greece (2011). What this reveals is a deliberate attempt to internationalise the society’s perspective and membership, and to open theoretical psychology as a field of inquiry to significant dialogues and debates taking place outside of Europe and North America as well. Since this will be the first time an ISTP conference is held in Latin America, it certainly is an event to look forward to. Besides meeting up with colleagues and friends from earlier conferences, I hope to establish new links in Chile and Latin America; and to learn from the rich traditions of thinking psychology, subjectivity and politics there. There certainly are, from a southern African perspective at least, a lot of important dialogues and debates to pursue with Latin American colleagues! As you can tell from the title of this blog, and from my very first entry here about 6 months ago, I initially set out asking what it might mean to do psychology from the South, and from South Africa in particular. Of course, different South African psychologists come up with different answers to this question (when the question is asked at all). Some raise the positivist flag; others beat the indigenous drum. The former are sometimes accused of imperialism. The latter sometimes of ethnicism. And so it goes. Frequently the question is posed in terms of the ‘social relevance’ of psychology: how well the discipline contributes to the solving and managing of ‘social problems’ (including ‘problem subjects‘, of course… whether it approaches them in terms of productivity, security or health, psychology is rarely a friend of ordinary subjects!). The relevance debates, however, were often more concerned with legitimising psychology, developing its investment portfolio so to speak, than with engaging in a more foundational critique of the discipline. Now, I just started reading a truly fascinating book which, although not about psychology, provides wonderful reflections on (and examples of) the challenge of doing ‘Southern theory’ (Connell) or ‘theory from the South’ (Comaroff and Comaroff). The book reflects on how to theorise the South, the postcolony, South Africa, Johannesburg; and on how, especially, such theorising challenges and shifts our relationships to established (and mostly dominant) ‘Northern’ theories. And just as importantly: how Northern theories themselves are altered when they are not merely used uncritically to ‘read’ the South, but are confronted with their own assumptions when they are critically engaged from the perspective of the South. When they are provincialised, decolonised, worlded, rather than just ‘globalised’. 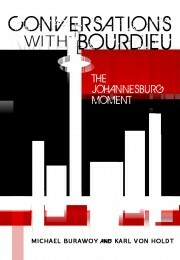 The book in question is Michael Burawoy and Karl von Holdt’s Conversations with Bourdieu: The Johannesburg Moment; it was published by Wits University Press about a month ago. I am not sure who the international publisher/distributor will be. Conversations with Bourdieu stages a series of ‘conversations’ (written by Burawoy) between Bourdieu and theorists from the Marxist tradition: Bourdieu with Marx, with Gramsci, Fanon, Freire, Beauvoir, Mills and finally with Burawoy himself. Von Holdt contributes a series of thematic ‘conversations’ between Bourdieu and contemporary South Africa. Again, this is not just Bourdieu ‘applied’ to South Africa and Johannesburg. This is Bourdieu being challenged by South Africa as well: the book ‘challenges Bourdieu with the lived realities of South Africa, problematising what he takes for granted — assumptions that then also reverberates back into a critique of Bourdieu’s understanding of France’ (p. 214). The last sentence of the book is also worth quoting: ‘There is no meaningful Northern theory insulated from Southern theory, but only theory that circulates between North and South — and the best critical theory transforms itself as it traverses the globe, turning itself against itself’ (pp. 217-218). 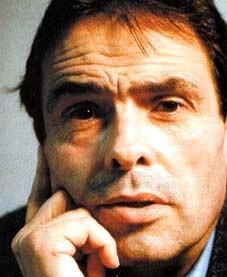 I will write more about these fascinating ‘conversations’ with Bourdieu on this blog in the weeks to come. Grahame Hayes retired from his position as Professor of Psychology at the University of Kwa-Zulu Natal in Durban, South Africa, at the end of 2011. Whether his institution gave him a gold watch and a huge party for his many years of service, I don’t know, but it’s certainly a pity that occassions like these so easily pass unnoticed — especially in South Africa, where we often struggle to sustain scholarly communities and meaningful exchange across institutions in the face of historical divisions, bureacratic entanglements, careerism and sheer physical distance. Grahame Hayes has been (and remains) an important figure in the creation and sustaining of a critical psychology community in South Africa and deserves to be acknowledged for this. The majority of my students and quite a few of my colleagues have probably not heard of him, but this says more about how we choose to reproduce the discipline, and about what we value as important contributions to psychology in this country, than it says about Grahame’s significance. In this regard his teaching and writing in the fields of Marxism and psychoanalysis and his mental health activism during the 1980s especially certainly deserve to be remembered; but it is arguably as founding and (fortunately!) still current editor of the journal Psychology in Society (PINS) that Grahame Hayes has made his most important contribution to psychology in South Africa. The first issue of PINS appeared in 1983, one of quite a few radical academic and non-academic publications established during that era of anti-apartheid struggle and violent state repression. The majority of those publications are long gone: some were victims of state repression, others survived apartheid but not the brutality of market fundamentalism and the corporatisation of ‘knowledge production’ in the post-apartheid universities. PINS, however, is still going strong. In fact, it remains a significant critical psychology publication not only in South Africa, but internationally as well. It also remains one of those rare things: a journal in the proper sense of the term, aspiring to connect and reproduce a scholarly community through ongoing dialogue, rather than becoming a commercial entity that pursues its academic distinction (its intellectual ‘brand’ and marketability) in terms of abstract notions like ‘impact factors’ and other things that have nothing to do with the interests and concerns of identifiable scholarly communities. For this reason, of course, PINS also needs your support. It does not have commercial backing, so the journal depends on subscription fees for its continued survival. Therefore, even though you can now access PINS on the internet, please subscribe! Today! You can follow the links provided above and e-mail Grahame Hayes directly. So, here’s to a good career, a significant legacy, and many more years of PINS!